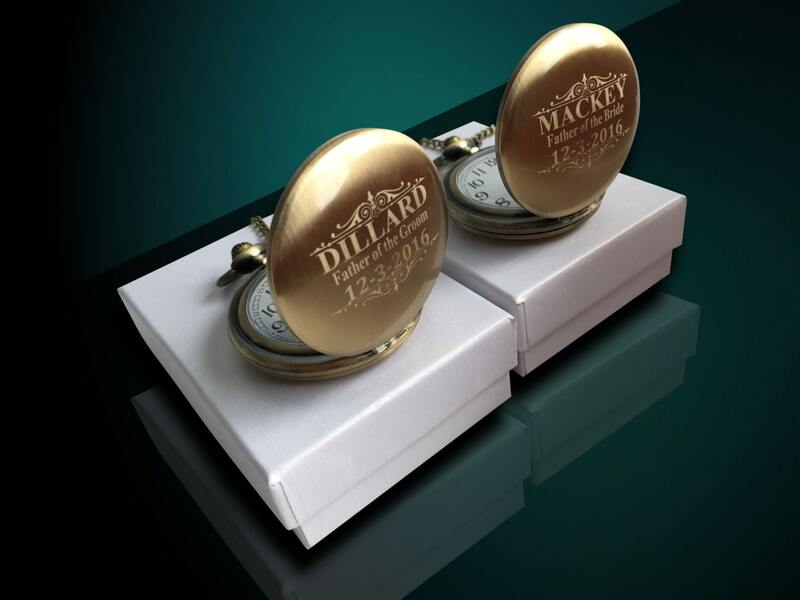 **Personalized quality crafted pocket watch. 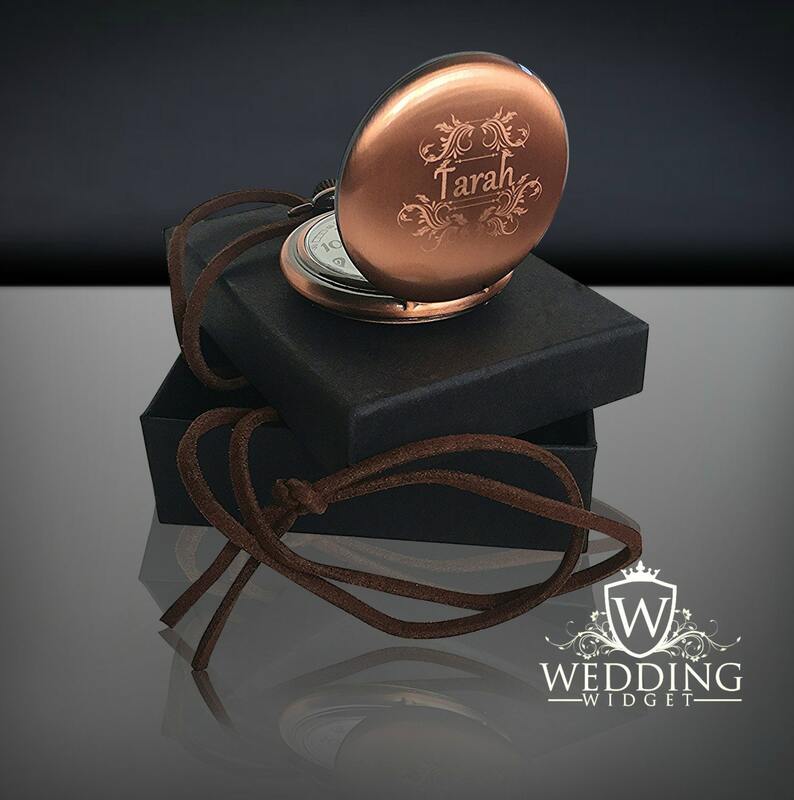 Silver vintage style laser engraved pocket watch. 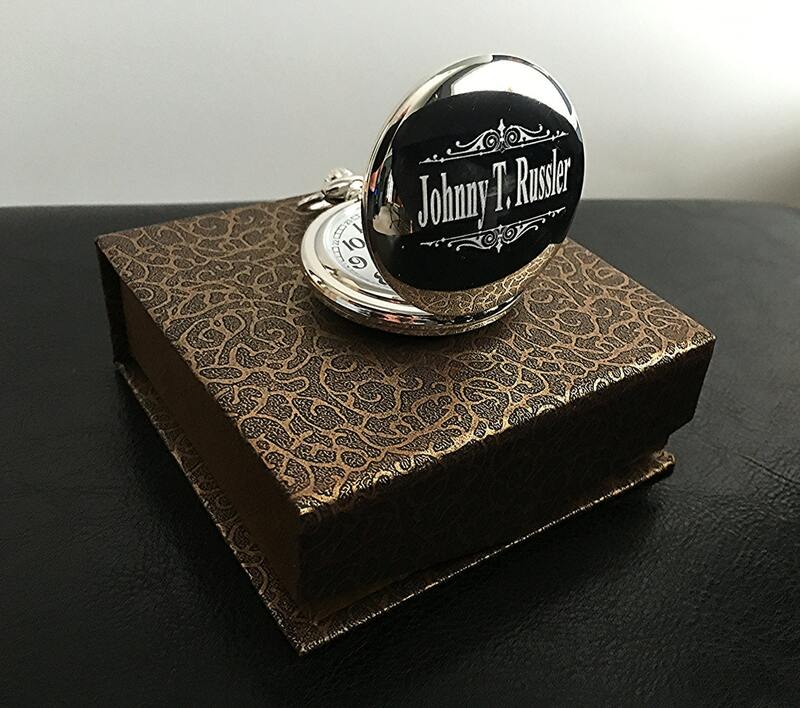 Father of the Bride or Father of the Groom personalized gift. 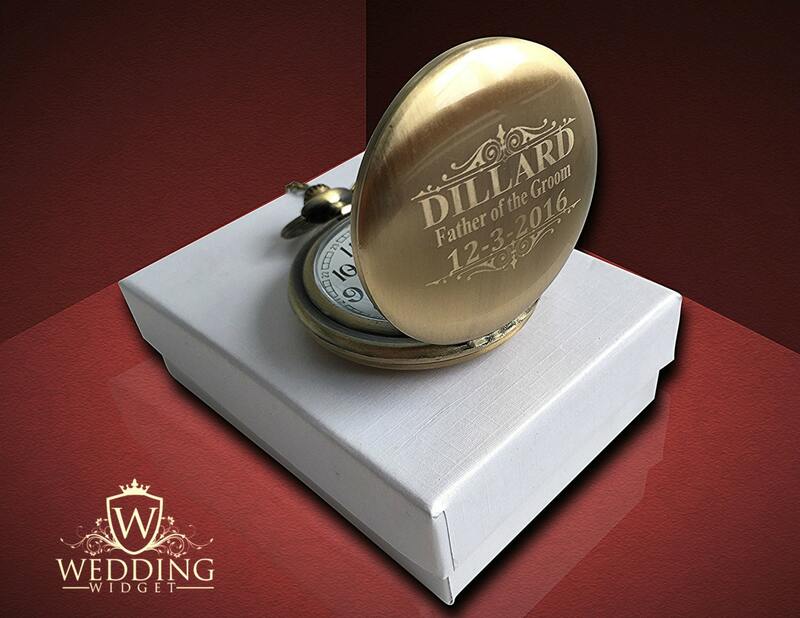 This listing is for 1 Silver Custom engraved pocket watch. Also available in Gold, Silver, Rose gold and Black/Gunmetal finishes. 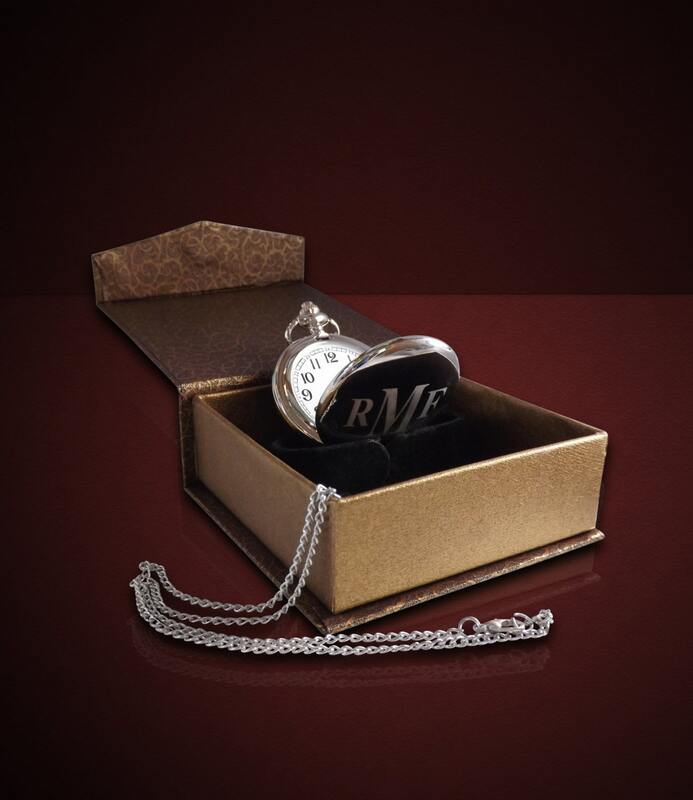 The chain, engraving and gift box is included. Follow the easy ordering instructions below. I ordered this as a wedding gift for my future husband and my dad. They are really nice. The hands on the clock dont tell time, they just wabble in place.